Do you think that Martin Luther King Jr. peacefully fought years of racist white segregationist Democrats in the South to see that today, people are being segregated the hairstyle they have? “Cultural Appropriation” is the new term that the authoritarian crybullies, the “Social Justice Warriors”, use to fight against racism and prejudice. They are the first warriors in history that need weeks of therapy at even the slightest provocation. Now they are being encouraged to compete as to who can be the biggest victim. Cultural Appropriation is the idea that White Males have taken aspects of minority and female culture and used them for their own benefit without acknowledging or appreciating the suffering of the offended. Now, currently in first place, we have a young African American Student at San Francisco University walks two flights of stairs to confront a young white male with dreadlocks. We can see clearly how this term is used to justify discrimination, intimidation, bullying, and racism toward others. But you know, I actually agree with her. As a Straight White Male, I see these people of color and feminists appropriating my White Male culture every day. When I they walk around in blue jeans, use electricity to light their dorm rooms, or to run their microwave ovens so they can eat non-Anglo-Saxon food… it makes me sick. They sit using their smartphones to write about Social Injustice and then use the internet to post it on Facebook and Twitter, and as a white male I find this offensive. I could even say that it triggers me. But what really, really makes me go mad is when I look down the aisle of an airplane: Sure, they’re reading articles about Beyonce, and they’re listening to Drake and Kanye, but how many of these “Social Justice Warriors” know the name of the man that invented the jet engine that is carrying them from their parents house to their hissy fits at the University of Ottawa, or Oberlin, or Yale, Harvard, Missouri and all the rest at 550 miles per hour? Not one of them, I’ll bet. Not one. His name is Whittle, you racist, ignorant, bigots! It makes me want to get up and slap them-but that’s a white thing, you wouldn’t understand. Out of all the things that are being carelessly appropriated from my White Male culture, I want full recognition for Rap. 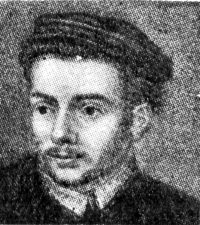 Hip-Hop rhyming is called Skeltonic verse, and it was invented by White Male John Skelton, who was born in England in 1463. People become furious at things like the Washington Redskins, yet they might want to hear about another hated and marginalized group of American Immigrants: the Irish. The two great slurs leveled against the immigrant Irish concerned their drunkenness and their violence. Here’s the mascot Notre Dame took for themselves: a drunken fighting Leprechaun. Every year we hold parades, drink green alchohol, wear green and dress up like Leprechauns. On St. Patrick’s day, everyone’s Irish. That’s because unlike the “Social Justice Warriors”, the Irish have a sense of humor, which they no doubt culturally appropriated from our common African ancestors.